This eBook edition of "e;9/11 Through The Lens"e; has been formatted to the highest digital standards and adjusted for all devices. 250 high resolution color photographs arranged in a chronological sequence and showing the disastrous aftermath of two airplanes crashing into the Twin Towers of the World Trade Center in lower Manhattan after being highjacked by terrorists on September 11, … 2001. 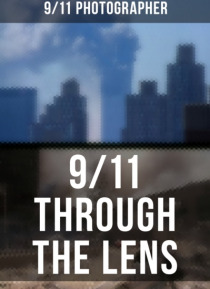 Includes the burning towers seen from uptown; the photographer's trip to the ground zero area; and the conditions north of the World Trade Center, near West Street. Also views of New York City Fire Department fire fighting and rescue operations in the areas near West Street, the Verizon Building, 7 World Trade Center, the North Bridge, the Customs House, the Winter Garden, and the American Express Tower at the World Financial Center.